Providing the scientific information needed by managers, decision makers, and the public to protect, enhance, and restore the ecosystems in the Upper Mississippi River Basin, the Midwest, and worldwide. Welcome to the Upper Midwest Environmental Sciences Center (UMESC). We are proud to be one of the leading research centers conducting ecological research to support the Department of the Interior's and other local, state and federal resource agencies management of natural resources, fish, and wildlife. For more than a half century we've served the public and our partners by generating quality relevant scientific products and information for the improved management of our natural resources, including water, wildlife and land. We help protect these invaluable resources to improve our health and recreational opportunities for both today's and tomorrow's generations. We are located on an island in the Mississippi River near the city of La Crosse, Wisconsin. It is a U.S. Geological Survey (USGS) Science Center, located within USGS's Midwest administrative area. 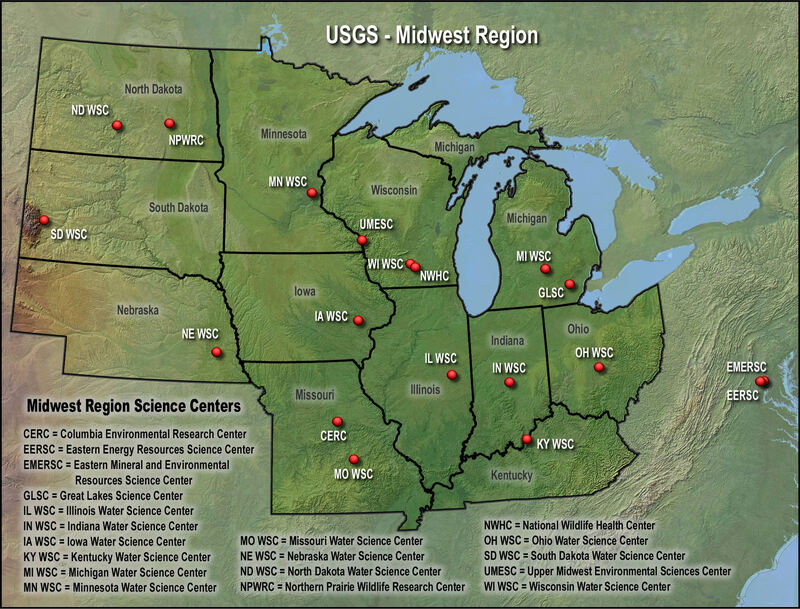 The USGS Midwest Region promotes coordination between the Midwest Region Science Centers. UMESC's emphasis is on the Upper Midwest, however, our research, monitoring, and technical assistance efforts extend across the nation and world. The Center's first mission was the control of aquatic invasive species such as sea lamprey, and has since expanded into the study of river ecology, wildlife ecology, the effects of contaminants on fish and wildlife, and geospatial technology (see UMESC's history page). Over the years UMESC has developed partnerships with a variety of other federal departments/agencies, states, educational institutions, and organizations. These partnerships are important in ensuring the relevance of our activities and the utility of our products. We work on the control of aquatic invasive species such as Asian carp, zebra mussels, and sea lamprey. Other research is conducted on the effects of contaminants (both industrial compounds such as PCBs and dioxins, and emerging contaminants such as pharmaceuticals) on fish and wildlife. We are concerned about the wildlife, and how these contaminants move through the environment to potentially affect human health. We also study threatened and endangered species such as amphibians and native freshwater mussels. Again we are not only interested in preserving these species for future generations, but also in determining what the potential ramifications are for human well being. The Mississippi River is an invaluable resource providing drinking water, recreation, transportation, and aesthetics to millions of Americans. Our research and monitoring assesses the health, status and trends of the Upper River and helps determine how large complex river systems function. This work provides critical information needed by river managers to improve this magnificent resource while maintaining its multiple uses. Because the soundness of its methodology and the quality of the information provided by UMESC and its partners through the Long Term Resource Monitoring Program (LTRMP), the approach used in the LTRMP is now being expanded to address great rivers worldwide. Finally, we work on developing maps, computer models, and other decision support tools, often in geospatial formats, to help inventory and manage our resources. Major products include vegetation inventories of National Parks, such as Glacier, the Apostle Islands, and the Appalachian Trail, and also numerous national wildlife refuges. UMESC uses Science Teams to conduct its research and related activities. A listing of the Science Teams and their programs/projects is available on the Science Program's Web page. In 2007, the USGS developed a science strategy plan outlining major natural-science issues facing the United States, focusing on mission areas where natural science can make a substantial contribution to the well being of the Nation and the world. The agency continues to implement this plan. UMESC's research, monitoring and technical assistance activities support many of the mission focus areas. UMESC's original mission was directed towards meeting the needs of aquatic resource managers and researchers in the Midwest, many of whom work within the Upper Mississippi River and Great Lakes watersheds. The center has since expanded its capabilities and expertise and now encompasses also studying our terrestrial resources and additional wildlife such as birds and amphibians. Furthermore, our activities now frequently are conducted in geographical areas beyond the Midwest. 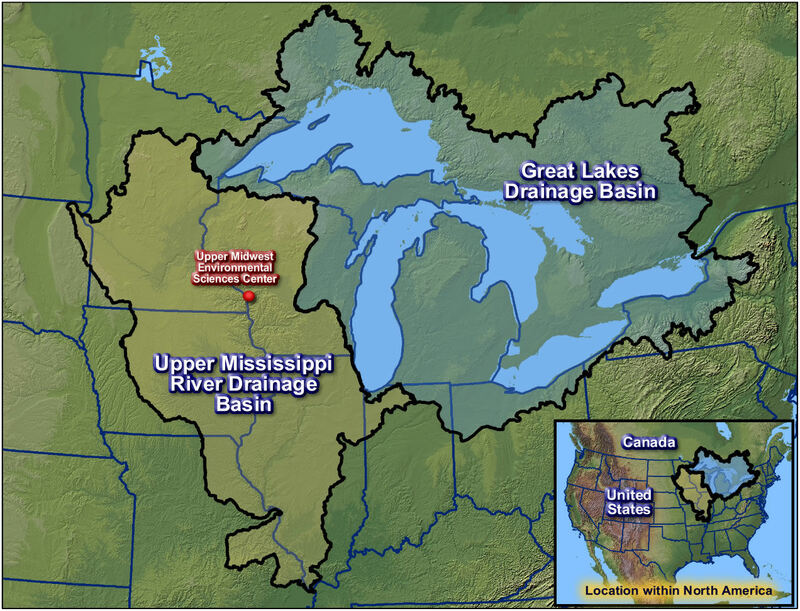 Most of the Upper Mississippi River basin projects are focused on the Mississippi River and its floodplain, from Minneapolis, Minnesota to Cairo, Illinois. UMESC has a long history of studying the Mississippi River ecosystem, and UMESC is the science lead for the Long Term Resource Monitoring Program (LTRMP). 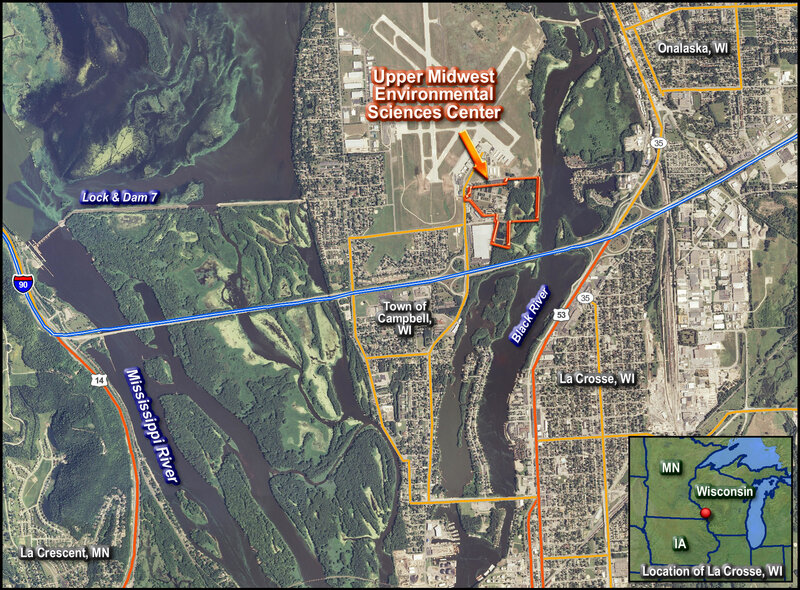 State operated field stations work with UMESC to collect data for the LTRMP as part of the Environmental Management Program (EMP), also referred to as the Upper Mississippi River Restoration Program. Regional projects address among other topics: resource monitoring, status and trend analysis, food webs, the potential effects of climate change, and predictive modeling on topics ranging from nutrients, species interactions, and ecological succession to water level/flow manipulation. UMESC research projects in the Great Lakes basin began in 1968, when the Center started developing chemical and biological controls for the invasive sea lamprey. UMESC's research provides valuable support and resources to federal offices and agencies in the Great Lakes region as well as several Canadian agencies and the bi-national Great Lakes Fishery Commission. UMESC projects in this region address among other topics: resource analysis, migratory birds, wildlife health, the impacts of renewable energy (e.g. wind) projects, and the effects/control of invasive species. UMESC activities, although centered in the Upper Midwest, are also conducted across the US and internationally. For example, the effects of contaminants on wildlife have been studied along the Hudson River in New York State, along other rivers in Rhode Island, Massachusetts, Colorado, North Dakota, and into Canada. The Terrestrial Wetland Global Change Network, began and led by a UMESC scientist extends from Alaska to the Carolinas including major portions of Canada. Migratory bird research has applications from the Arctic through Central America to South America. Invasive species research has extended into Arizona, Montana, and elsewhere. UMESC's geospatial scientists have produced or are in the midst of developing vegetation maps for a number of National Parks including: Glacier-Watertown, Arcadia, Buffalo National River, the Great Lakes national park network, and the Appalachian Trail. UMESC is a major partner with The Nature Conservancy's Great River Partnership (GRP), which seeks to develop partnerships and learning opportunities among individuals who work with the world's great rivers. The LTRMP is serving as the template for the GRP. Collaborations are currently strongest with Yangtze River scientists in China. This program is expanding to other great rivers across the continents. Whether by the applicability of its research, monitoring, technology transfer, and/or the location of its activities, UMESC activities benefit the area, region, nation, and world.